The sprawling limbs of a venerable old white oak tree sway in the mountain top breeze as thick fog obscures the distant Shenandoah Valley. 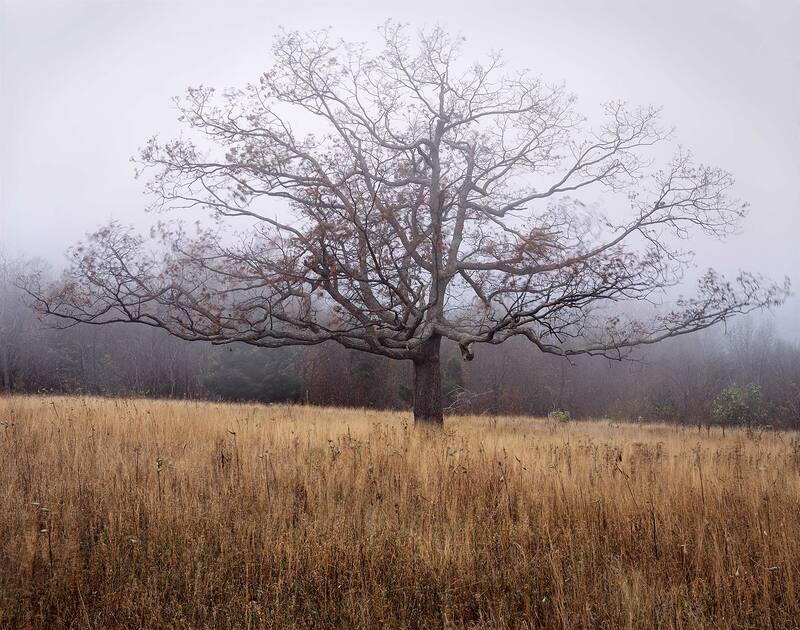 The simplicity of the single solid oak, the subtle tones of late fall, and the mystery of fog compelled me to make this photograph. I held the shutter open extra long to catch the blowing wind.